CSA stands for Community Supported Agriculture. It is a group of people who are supporting a local farm and in turn sharing the risks and the benefits of the growing season. Our members really enjoy being a part of our farm, here’s what they have to say..
Why Should You Join Our CSA? Get to know your farmer and where your food comes from. 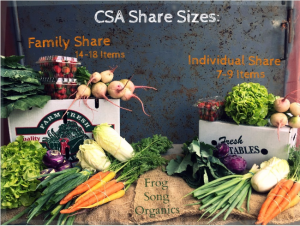 Save Money- On average our csa members receive close to $8-10 discount each share. Healthier, fresher, better tasting food. Expand your tastes & try new vegetables. Invitations for our farm tours and farm to table dinners. Weekly Blog featuring cooking tips, recipes, and interesting & nutritional facts about the items in your share. This is a pre-paid membership for the Fall Season October through December. This option is very simple, once you sign up and our season begins you will pick up your share every week at your predetermined pick up site. The share will contain seven seasonal vegetables and fruits from our farm that we determine early on in the week. We send out a weekly reminder with a link to our BLOG which will include information, cooking tips and recipes for the items in your share. If you need to place a hold on your share, simply log on to your account and cancel your share for that week, and we will credit your account for the missed week. *Holds must be scheduled in advance to receive credit. The price varies by location due to transportation costs, for exact prices please check out our online store: Local Food Marketplace. All prices include a $24 refundable deposit for a reusable container. or Individual Size (feeds 1-2 people). This option is a little more interactive and requires you to sign on your account and place an order. This is a good option for someone who wants to eat healthy and support the farm, but might have particular tastes and may not want to commit to picking up every week- just order your produce when you want it. With this option you can order what you want, when you want it. It’s basically like buying a gift card to our farm. You pre-pay a designated amount ($200, $400, $600 and up) and you can use that credit to order online or shop at the farmers market. 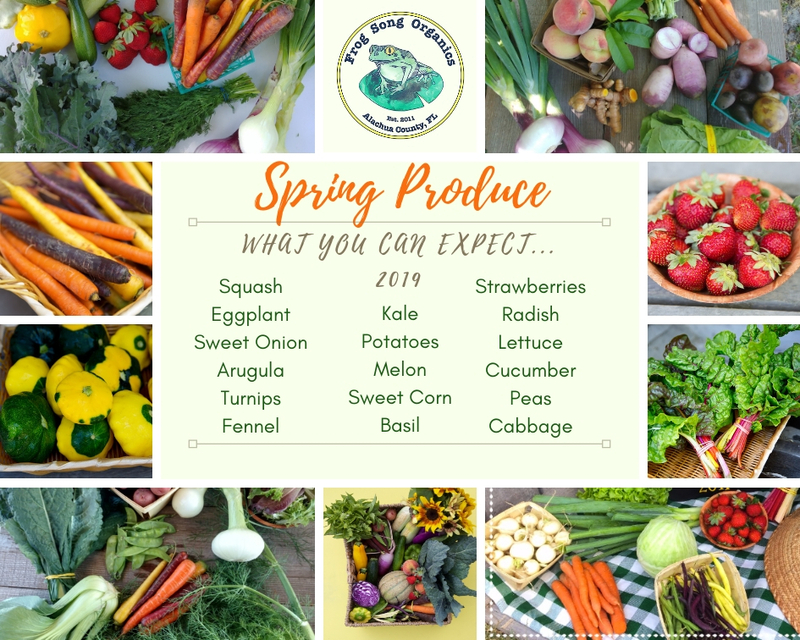 When you Shop Online you can customize your share by adding the items and quantities and we box it up and send it to your pick up location or you can order the “This Weeks CSA Share” the items and quantities that everyone enrolled in our weekly program receives. Please note there is a minimum order of $35 to fulfill an order online. 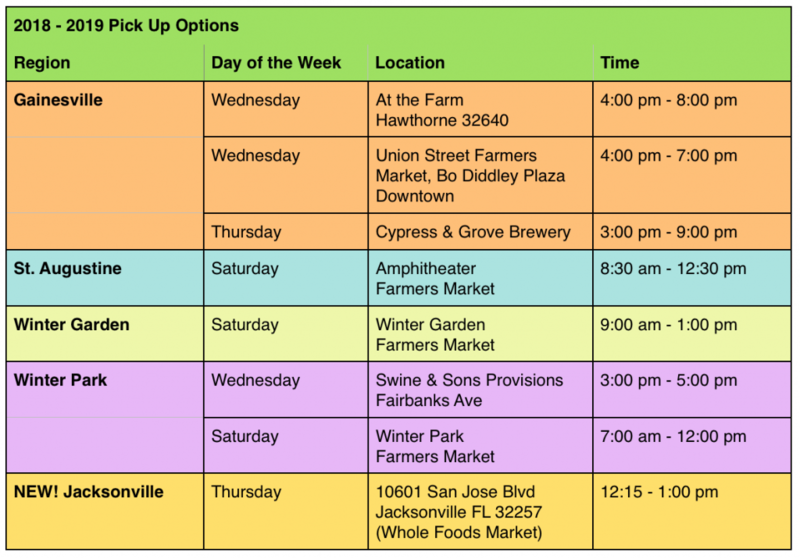 You can also shop at our farmers markets using this credit and there is no minimum purchase. All credit is good for 1 year from purchase date. You will need to make an account on our LOCAL FOOD MARKETPLACE Website. Once you place it in your cart you will need to link a credit or debit card to confirm your order. If you plan to pay by check for the discounted price, please put “sending check” in the notes and we will not run your credit card.